In this video Bangla WordPress Security tutorial we showed how you properly setup SSL certificate on WordPrees website. We have resented simplest way to add SSL to WordPress site without any .htaccess coding. By doing code on .htaccess may cause several issues on your website, if you are not an expert. Full meaning of SSL stands for secure socket layer. SSL certificate puts an extra security layer during data communicated between server and web browser. Basically the SSL ensure highly encrypted data to protect being stolen or hack. Any website collects user data such as email address, phone number, credit card number or any sensitive information, SSL certificate must for them. Google have declared to give priority of site rank on search result for those website have SSL certificate. Recently we discovered they are giving more priority over non SSL certified website. So if your business depends on Google Rank, you should be considering SSL certificate immediately. From many years of professional experience we came to conclusion, if your website have SSL certificate setup, it not only increase the security but also increase sale. You will defiantly see your clients or visitors are feeling safer to communicate with you or buy a product or service from you. If you are planning to build a website on WordPress your first priority should be protect WordPress site from hackers. WordPress no longer just a blogging platform, WP now became a most popular content management system. zHost providing web hosting in Bangladesh since many years. We have large number of customer using WordPress CMS to develop their website. We are reporting frequently from our clients regarding WP security. We found most of websites are affected by Malware, SQL injections, spamming, backdoors and anymore subspecies attack. Finally zHost Bangladesh decided to making WordPress security tutorial to help Bangladeshi users and developer. 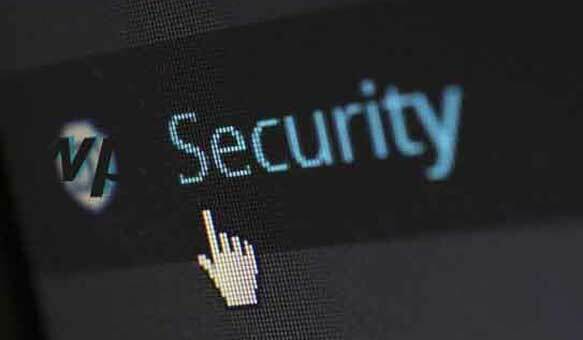 Why WordPress security is Essential? We have come with 3 main points why securing WordPress is so important. Most websites like eCommerce, Affiliates, Advertising, small to large business, corporate, blogs are developed in WP CMS. Because of popularity, hackers and spammers target WordPress website first. Everyone knows very well the coding structure of WordPress CMS. So you should concern how to protect WordPress website from hackers. WordPress have not come with strong security protection, so you have to ensure WordPress protection from the time you install the CMS. In this tutorial you will learn how to protect WordPress from Brute force attack and stop SQL injection on database. We will show how you will properly configure Secure Sockets Layer (SSL) in WordPress. SSL is mainly responsible to send or receive user sensitive data from browser to server without been hacked. WordPress have lot of spam protection features in Admin area which is known as WP Dashboard. But by default they are not properly configured. We will present the best way to tweaking those options from WP settings. Most of the user or developers show unawareness to look over many factors on files and WP plugins which compromise security. You will learn how to deal with plugin on the 4th video tutorial. If you don’t keep latest backup of your website regularly, you are in great problem. If your site effected by hacker or spammer in some case you will not be able to restore your website any more. If the web server is not secure in where your site is hosted, there is no point to hardening security of your website. In this video tutorial we will show you how to choose a secure web hosting. In the last WordPress video tutorial we will show you how you will recover your website after being hacked and ensure future security. Most of the web developer or users totally ignore or have no concern regarding security of a WordPress website. We hope this WordPress security tutorial you will find very helpful tips and lesions. But at the end there is nothing to make 100% secure a website, all we can ensure stronger protection to protect WordPress site from hackers.